In the world of debt there are many different types you can accrue. There are good debts such as a home loan, student loan, or small business loan, and there are bad debts. In this post we talked about 3 types of debt that aren’t so bad. But today we give you a couple of examples of bad debt. This kind of debt does more harm than good and should be avoided if at all possible. The most common type of debt you will gain in your lifetime is of course credit card debt. This can come in the form of regular credit cards, gas station credit cards, store credit cards, etc. 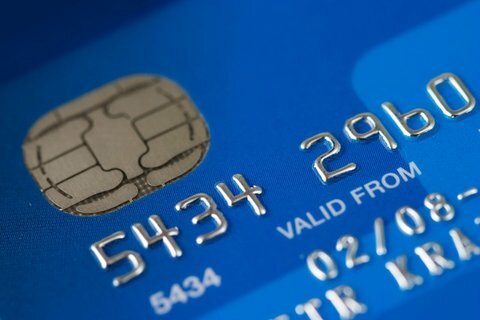 No matter what the reason for needing a credit card or spending the money on a credit card, they are not good to have. While having a credit card, keeping it below 30% of the total limit, paying it on time and paying it off completely can be good for your credit it’s easy to not do these things and feel the negative impact. A common trait of those that are not in debt is they don’t spend money they don’t have. Credit cards allow us to do the exact opposite by opening up a large pool of funds we wouldn’t have had available to us otherwise. This can lead to a disastrous amount of debt and all its negative side effects. In some cases using a credit card to help you out of a tough financial situation, such as a health issue or medical emergency, is necessary and the only option you may have. Other times it’s something a little less serious the credit card is needed for. Either way by making sure you take the right precautions, and not let your credit card spending get out of hand, you can make the card a positive and not a negative. Some might see auto loans under the bad debt category and wonder why in the world they are there. You have to have a car to drive around right? While this is true, you do need something to drive from point A to point B, auto loans aren’t always the answer to this problem. It’s typically about the new and shiny factor when purchasing a car. The first thing you see when you get in is all the new gadgets and gizmos the car or truck comes with. Or, maybe you’re more drawn to the powerful engine and the way it revs when you push the gas. People don’t stop to think just how much debt they are taking on by signing a 5 to 7 year note. All they see is the small payment they have to make every month and justify that by saying “Oh it’ll be here before I know it, and the car will be paid off and mine”. Auto loans are considered an unnecessary debt because you don’t have to buy a new car when you can save up and pay cash for a slightly used one. They run just as great and won’t cost you an arm and a leg in interest. Not only do the cars immediately depreciate in value when you drive them off of the dealership lot, interest can be a major issue. When purchasing a car the amount of interest you pay can cost around 15% of the total price of the car when you’ve finished paying it off. Depending on the price of the car you could buy a few cars with what you pay in interest on the one. While some may take out the auto loan and pay it back years before it’s due, most will ride the loan out until the car is paid off. You should avoid a car loan if you can’t pay it back within the first year or try to get a lower amount of time to pay the car back. Anything over 48 months is going to eat your dinner in interest. While this will make your payment every month higher it will save you money in the long run. As we all know, there is no such thing as a good debt. There are however, debts that are worse than others. The two debts above are the worst debts you can have simply because they can be easily avoided and just aren’t necessary. You can avoid these 2 types of debts by being prepared and having an emergency fund set up for situations that may arise. If you’re already in debt, a solid debt reduction strategy will help put you in position to avoid future debt issues. Waiting before you buy something, and saving up cash for cars or trucks you may want, is a good way to avoid these debts. Avoiding unnecessary ‘bad’ debt is a key to avoiding personal bankruptcy. If you feel trapped by your debt situation, and want a professional opinion, we can help you review all options available.